Our theology functions much like our worldview in how we interpret the meaning of things. For Christians, their theology should inform their worldview, but this is seldom the reality. Sadly, it is the other way around for many—their worldview informs their theology. 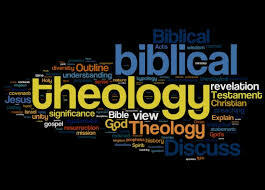 When I was first coming into the things of God, it was fashionable to say, "I don't want theology. Just give me Jesus." I have discovered that such is still the case today. It sounded so noble and righteous to us then. It was probably born more out of rebellion than anything else. I can say that now, because that is what I see in the current trends in the church. There is more of a rebellious attitude than there is a desire for the fullness of God in a life. Your "theology" is simply your view of God. Yes, there are higher, more involved definitions of "theology;" but for our purposes here, this is about as simple as it gets—your view of God is your theology. Is your view of God an informed view? If so, how was your view formed? It is possible to take three different interlocking picture puzzles of the same size made by the same company, mix them all together, and then begin to assemble the puzzle. Parts from one picture would fit another picture. You could have parts of chicken, a cow, and a horse all fitting into one complete picture; but would you have something accurate? Something that resembles reality? Such is the current condition of theology in the church among God's people. Their individual theology is formed from their favorite preacher, their respected teacher, the last three books they've skimmed, and the current popular trend—all thrown together and blended to form a sickening mix of inconsistent thinking. Sometimes, this inconsistent thinking even goes contrary to the Bible, but that doesn't seem to matter to some. Mostly, though, rather than being anti-, the inconsistent thinking is just sub-biblical. The goodness of God leads to repentance. A current emphasis in the Body of Christ is on the goodness of God. Just utter the phrase "God is good," and you will undoubtedly hear a reply of "all the time." This concept is in the forefront of people's thinking at this time. "God is good" is a theology, a view of God. It is not incorrect to say that God is good. However, when that is the ONLY view, it can corrupt a complete view; but that is not the point here. Applying this concept to the verse from Romans leads to a misconception that may have devastating consequences. A summary quote of much of what I've seen should suffice to present the problem—"A revelation of God's goodness is needed to lead someone to repentance." The verse, Rom. 2:4, plucked out of its context and informed by this theology could certainly lead one to believe the above statement. However, taken in its context, we find that this is far removed from the thought of the apostle when he penned this passage. When taken in context, we find that the "goodness/kindness of God" is that He hasn't yet executed judgment on us/them. His patience is being manifested. His patience is born of His kindness. The truth of this passage is that we should be aware that judgment is coming and due only to the kindness of God, it has not already occurred. Therefore, it is not the fact that God is good which leads us to repentance, but that He will judge all unrighteousness (Rom. 2:16). It is impossible that our theology not inform our interpretation of scripture, regardless of where our theology comes from. An Arminian will interpret differently from a Calvinist, from a Universalist. A Baptist will interpret differently from a Methodist and from a Catholic. But NONE are excused for interpreting out of context. Do not let your theology become a flimsy excuse for a lack of sound biblical interpretation.